We are passionate about the good news of Jesus Christ; and passionate about the unity Christians enjoy with one another. Grace church is delighted to give to, work alongside, pray for, church plant with and send missionaries with other churches or organisations where our partnership flows from genuine gospel unity as expressed in the outline of the Christian faith seen in our statement of faith. However we recognise there are many areas of doctrine and practice outside of the statement of faith where many Christians take, in good conscience, a different view from one another. We are delighted that our unity in the gospel ought to be “only as narrow theologically as the gospel demands, but as culturally broad and generous as the gospel permits”. So for the purpose of clarity and unity we set down below where we stand as a church family on a number of these areas recognising that where members of Grace church do not agree they are prepared to respect these as the beliefs and practices of the church family and therefore do not seek to undermine them. A person may only become an Elder of Grace Church if he wholeheartedly subscribes to these beliefs and is willing to affirm and teach them. Because the local church of the New Testament refers to the community of God’s people (not the building) we are people passionate about living as a community of God’s people, around God’s word in mutual dependence on one another. We believe this is an expression of our membership of God’s global family and even a local community of believers are a small picture of heaven. The New Testament describes the global (and local) church as; Christ’s body, Christ’s building & Christ’s bride. Being joined to Christ is something that changes what we believe, how we live, how we love and serve one another. This is why we take matters of membership seriously. 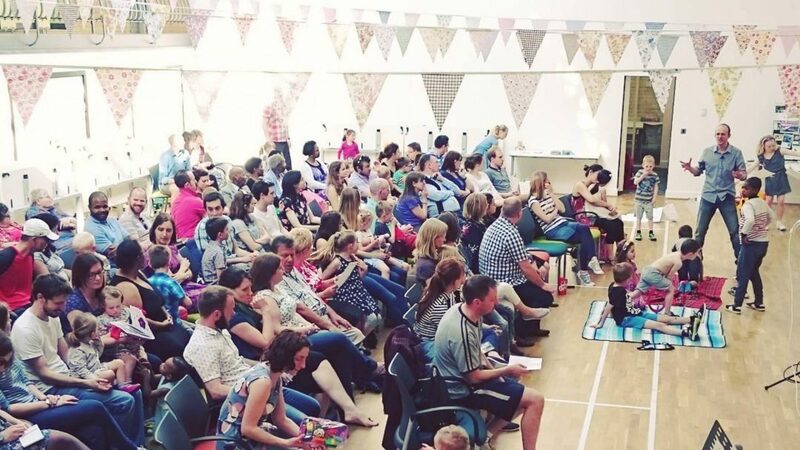 Because we believe that it benefits Christian witness when the church is local, we delight in starting and supporting new gospel families within our local neighbourhoods and around the world. We are people passionate that God the Holy Spirit speaks to his people today through the Bible when it is read or proclaimed, publicly or privately. We believe the bible contains everything necessary for God to say, whether explicitly or through deduction by good and necessary consequence, to enable people to come to salvation through Jesus Christ, and to grow in their relationship with Christ such that they know how to worship him with their lives. Since the bible is sufficient, no additional word or revelation from God is necessary to enable someone to know God, or to discover his resolve on any area of faith or belief. When someone claims that God is speaking a word by any means other than through the bible, we expect such words from God to consistent with God’s revelation in the and expect the bible to govern how such words are acted upon. In accordance with the teaching of the New Testament, the Elders of the church bear the responsibility for assessing whether any such word is from God and how it is to be acted upon. We are people passionate that baptism into the name of the Father, the Son and the Holy Spirit is a sign of obedience celebrating the work of regeneration and the baptism by the Holy Spirit in an individual and their membership of the worldwide Church of Jesus Christ. As such it is given to people who publicly profess faith in Jesus Christ. When possible, Baptism should be administered by immersion in water, symbolising the benefits of unity with Christ; identifying in his death and resurrection. Acts 8v38-39, Rom 6v3-4, Col 2v12. Grace Church believe that the Lord’s Supper is a remembrance meal at which Christians share bread and wine together to remind one another of the death and resurrection of Jesus Christ; the means of rescue which he initiated, and to proclaim that he shall return. We believe Jesus Christ is always present by his Holy Spirit at the gathering of his people and is no more present at a celebration of the Lord’s Supper than any other gathering of the members of a local church. The Lord’s Supper should be celebrated on a regular basis by the members of the church, preferably in the context of a fellowship meal demonstrating their unity in the body of Christ. 1 Cor 11v17-34, Matt 26v26-29. We are a people passionate about God’s glory and delight in his autonomy over every part of life; including the calling of people to salvation. People who turn away from their sin and express faith in Jesus Christ do so because they have already been chosen by God. Knowledge of this truth is the basis of our humility as believers and the comfort of salvation on the basis of the gift of faith rather than by works. God has also instructed his people to be actively involved in evangelism; declaring the good news of God to the glory of God. The Church is commanded by Jesus Christ to preach the gospel to all people everywhere, and the proclamation of the gospel and its reception by the power of the Holy Spirit is the means by which those chosen by God are brought to salvation. Grace Church believes that Jesus Christ is the way, the truth and the life, and that he provides the sole means by which men and women may come to salvation. We therefore believe that the Christian faith is the only true religion, and adherence to any other belief cannot lead to salvation but eternal separation from God in hell. Believers in Jesus Christ are required to display tolerance in their attitude towards those of other faiths, but also to seek to bring them to a saving knowledge of Him by prayer and evangelism. We are passionate that every Christian was baptised by God the Holy Spirit at the moment they became a Christian and expressed faith in Jesus Christ. Although every believer is always indwelt by the Holy Spirit, it does not follow that every believer is always filled with the Spirit at all times. Indeed all believers go through seasons of life where we surrender more and less to the Holy Spirit’s will. The bible urges all believers to ensure they are increasingly yielded to the power, influence and control of the Holy Spirit dwelling within them. Grace Church believes that all of the gifts of the Holy Spirit mentioned in the New Testament may be bestowed upon believers today as God himself directs the church in his sovereignty for the blessing of the local church and to draw attention to Jesus Christ. The gifts of the Spirit did not cease to be available to the church with the passing of the apostolic age, and they will only pass away when Jesus Christ returns to establish his kingdom. As such the local church shall experience a diversity of gifts in a variety of individuals who use these gifts for the blessing of the church and the glory of God. Grace Church believes that the gift of tongues may be given to believers today primarily for their private, personal edification and encouragement. It is not a gift given to every believer, and therefore not a sign of receiving of the Holy Spirit. Tongues are given to enable members of the church to praise God in other languages. The gift of tongues should be used publicly to offer praise to God at a meeting of a local church only where an interpreter is present to translate the praise offered so that it can be understood and affirmed by all members of the congregation. Grace Church believes that, in accordance with the pattern of the New Testament, a local church congregation should be led by a plurality of suitably gifted Elders. Just as the persons of the Trinity have equality of divinity and yet have differing roles in salvation, so we also believe that God created men and women in absolute equality, but with differing roles within the church. As such the elders of the local church are required to be male. The elders and deacons of Grace church are commissioned and appointed by the members of the church at a family business meeting only after careful and prayerful consideration. Elders are called to serve as under- shepherds of Christ, exercising their leadership of the local church in the pattern of Christ’s own leadership of the Universal Church. They are to love the members of the church and to give themselves in their service, working to present them to Christ as holy and blameless. In turn the members of the church are required to submit themselves to the leadership of the Elders, in so far as such leadership is exercised in accordance with the bible. In Grace church both men and women work as deacons in both spiritual and practical service, maintaining unity, serving others ahead of themselves and relieving the elders for prayer and preaching. For all who lead their character matters more than their gifts as we emulate Christ by serving one another. Grace Church believes that each and every member of the church is called by God and granted gifts by Him to minister to other members of the church for the benefit of all. Because there is no distinction of status between leaders and members the provision of teaching, pastoral care and evangelism within the church is not the sole responsibility of the Elders and Deacons. We believe that every believer has equal direct access to God through Christ and is able to minister to others using the gifts that he has given. Grace church (like all churches) is populated by sinners since none of us are acceptable to God on the merits of our own righteousness. At the same time Christians are being changed by the power and will of the Holy Spirit. Confronted with our sin we should be swift in turning from it and swift in offering forgiveness and full restoration of relationship. in the Christian life. However discipline that places someone outside of the local church is a very serious step and only necessary where a church member refuses to turn from sin or some denial of the gospel having been privately confronted yet refused the opportunity to turn back to God. God alone punishes sinners, and church discipline is not designed as an exercise of God’s judgment of an individual; it is not taken lightly or harshly but only to treat the individual consistently with their lifestyle or profession. As such it is only necessary as we defend the theological integrity and conduct of the church as part of our corporate worship and obedience to Christ. Grace church is an independent church family, where the cooperate membership is authoritative in matters such as discipline, doctrine or church membership and as such we are not subject to any external body, bishop or denomination. However this independency is not to be used as an excuse for separatism or isolation from other Christians since God’s glory is seen through the unity of the global Church under Christ. The New Testament gives examples of local churches giving money, sending missionaries, demonstrating concern for each other and praying for each other across geographical, cultural and ethnic boundaries. Consequently Grace church is delighted to (whenever appropriate) give to, work alongside, pray for, church plant with and send missionaries with other churches or organizations so long as such partnership is driven by genuine gospel unity as defined by our statement of faith even where we may diverge on the matters outlined here within our distinctives. Similarly as a church we do not believe in “guilt by association” by which an individual would be excluded from working alongside Grace church by virtue of an association they have with a church or organisation we would regard as wayward or whose stated doctrine would be unsound. Such working relationships are shaped by whether an individual is able (in good conscience) to agree with Grace church’s doctrinal basis. 2 Cor 8v1-15, 9v6-15, Acts 15.